Paul Gorry, F.S.G., F.I.G.R.S., M.A.G.I. Paul Gorry has had a lifelong interest in local and family history, dabbling in both by the age of ten. As a teenager he joined the Kildare Archaeological Society, and in 1980 he was a founder of the West Wicklow Historical Society. He has been engaged in genealogical research on a professional basis since 1979. Paul began his career as a freelance researcher for the Genealogical Office (GO). In 1980, with his colleagues on the GO’s research panel he was a founder of Hibernian Research, the first independent Irish genealogical company. Since 1987 he has been researching entirely through the firm of Gorry Research. He was a founder member of Accredited Genealogists Ireland. He served as AGI’s Hon. Secretary in 1988-1991 and President in 2007-2009. In 1989 he brought together a group of individuals to organise an international conference on Irish genealogy. This group staged the 1st Irish Genealogical Congress (IGC) in 1991. It was followed by three further IGCs, held in 1994, 1997 and 2001. Paul was Chairman of the IGC from its inception to 2002. He helped found the Council of Irish Genealogical Organisations (CIGO), and in 1995/1996 he also served as its Chairman. Paul has been a member of the Irish Genealogical Research Society (IGRS) since 1980 and of the Society of Genealogists [London] since 1987. In 1999 he was elected a Fellow of the Society of Genealogists. In 2005 he was awarded the Fellowship of the IGRS. He was elected a Vice-President of the IGRS in 2017. Paul Gorry has written extensively on genealogical and local history topics. He has also published articles on Irish golf history. With his AGI colleague, Máire Mac Conghail, he was joint-author of the book Tracing Irish Ancestors, (HarperCollins, Glasgow, 1997). He also wrote Baltinglass Golf Club, 1928-2003, published in 2003, Baltinglass Chronicles, 1851-2001, published in 2006, and Seven Signatories: Tracing the Family Histories of the Men Who Signed the Proclamation, published in 2016. Paul has considerable experience in teaching and lecturing on genealogy. 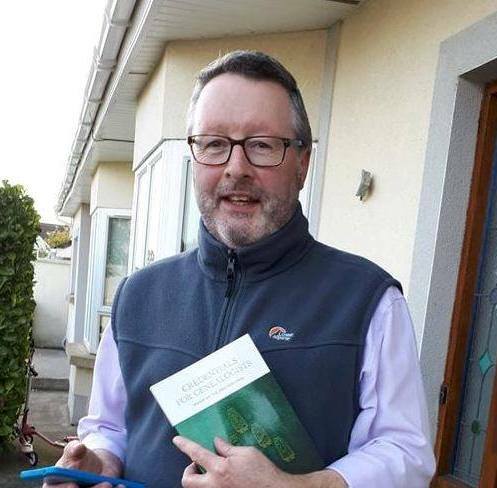 He was joint co-ordinator of the Diploma in Family History course at Independent Colleges, Dublin, run in conjunction with AGI from 2009 to 2013. He has lectured at various events and venues in Ireland, England, Australia and the U.S.A.